The profession of landscape architecture teaches us to look at everything through a filter of sustainability, stewardship and the overwhelming motivation to leave things better off than the way we found them. 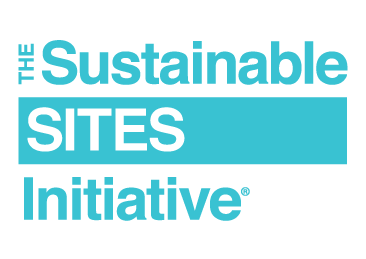 The Sustainable SITES Initiative (SITES) approach provides us with a framework to do just that. As one of the most, if not the most, exciting design mechanisms used at Stack Rock Group, the SITES v2 Rating System not only allows us to incorporate our love of the environment, but it also provides us with the tools to track our input. The in-depth process is challenging, but after completing the HP Boise Campus, certified SITES Gold, and submitting our second project, the process has become streamlined. Like anything new, however, there was a learning curve. Our first project took us in a number of unexpected directions. That path has led us to the precipice of something great. The pre-design assessments and initial meetings are extremely important to the end goals. Identifying the ecology of the landscape and the correct integrated design team is paramount. Nothing makes the process easier than having the right people in place. Rely on local site users. Many projects are not in our backyards. We are charged with bringing a team together that includes the local population, existing site users and professionals from other areas. Information is key. Having everyone from the initial site surveyors to the end users on the same page is important. So many projects are abandoned, or poor decisions are made, because of a lack of information. We quickly learned that in the SITES process, everything is used or designed for a reason. One material change may result in missing out on a higher certification. Third-party monitoring is amazing. We are not often retained to perform post-occupancy studies on projects. The third-party monitoring included with SITES v2 allows designers to learn and benefit from the information. It reinforces design decisions or shows there really are better ways to do things. The SITES v2 Rating System is an extremely valuable tool that was developed to help every project become more successful. Don’t neglect this resource that included so much research and testing. It’s our collective responsibility to protect resources, create regenerative and resilient places and improve the quality of life for all living things. Moving forward, we will continue to use it as a framework for all projects and, hopefully, on more projects that achieve SITES certification. About the author: Will Howard, PLA, ASLA is a professional landscape architect from Bruneau, Idaho. Howard practices his craft with Stack Rock Group, a quirky and creative landscape architecture firm. He is an active member of the American Society of Landscape Architects, and a member of the USGBC Faculty.